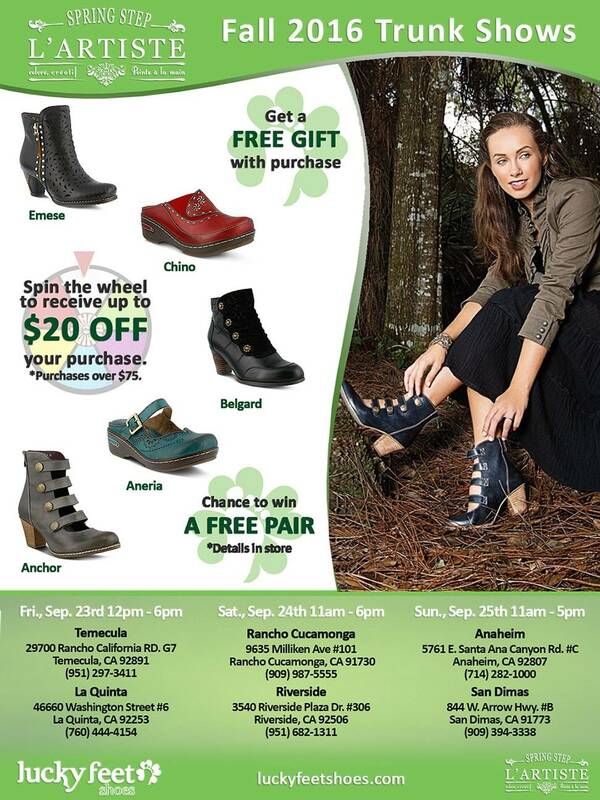 Fall 2016 Shoe Trunk Show with Spring Step! Don’t miss out on Spring Step’s Fall Arrivals! Come check out this Fall’s Spring Step Trunk Show and experience the hottest trends this season. Just for our customers, we will be giving out a FREE GIFT with purchase! Customers will get the chance to spin a prize wheel for their chance to win up to $20 off their purchase, when they spend $75 or more!